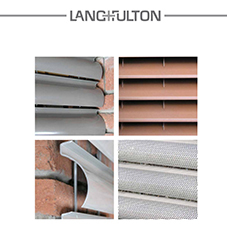 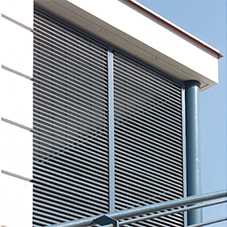 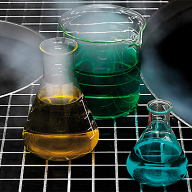 Lang+Fultons range of high-quality, steel louvred grilles offers an aesthetic and practical screening solution for the safe protection of mechanical plants, such as air conditioning, heating systems or power-supply equipment. 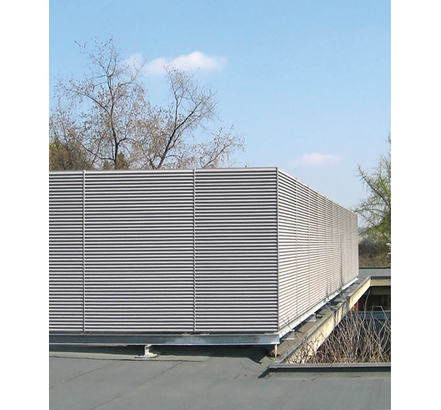 Framed ventilation panels, continuous screening or housings at ground or roof level, together with support steelwork, are individually designed and fabricated. 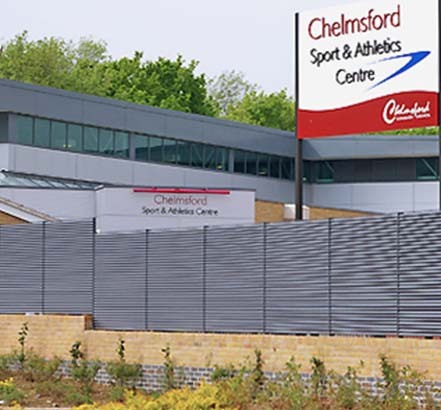 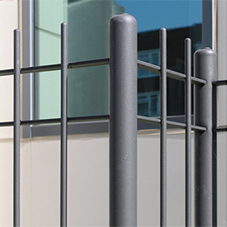 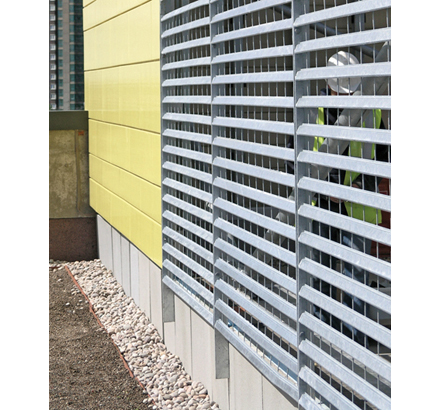 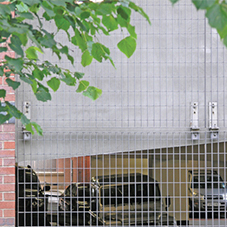 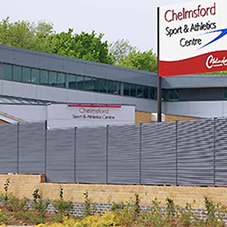 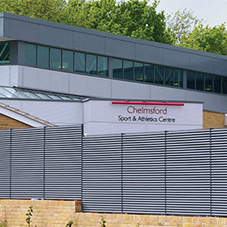 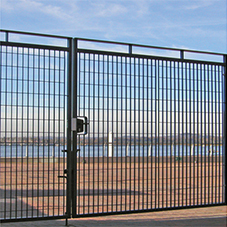 The mild-steel construction is much more economical and robust than aluminium and is therefore suitable for screening large openings or creating security grilles with diffused natural lighting. 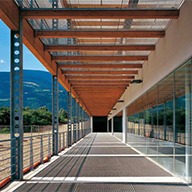 Italia-100 provides 100% visual screening and 50% free area. 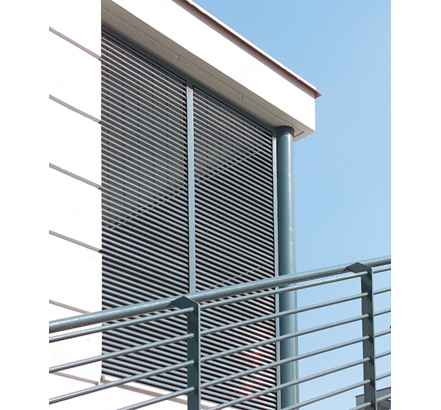 Italia-80 provides 80% visual screening and 60% free area. 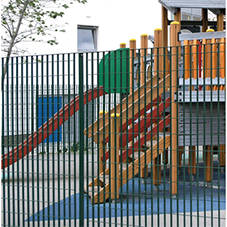 Terra-15, Terra-25, mmetro-15 or Metro-25 gratings which have small apertures are also suitable for similar applications where less visual screening is required. 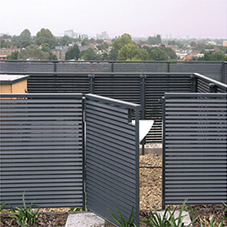 All panels are framed to custom sizes and can be supplied with separate blanking plates and bird or insect screens. 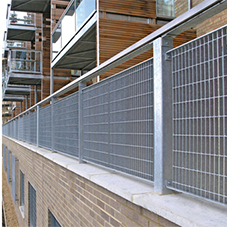 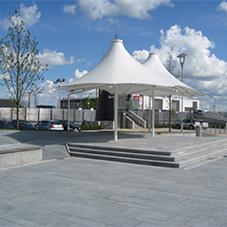 Finish: hot-dip galvanized before optional polyester powder coating in any RAL colour. 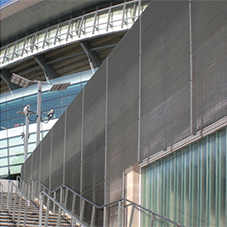 Lang+Fulton has over 30 years experience offering a full design service, detailed fabrication drawings and ancillary steelwork.